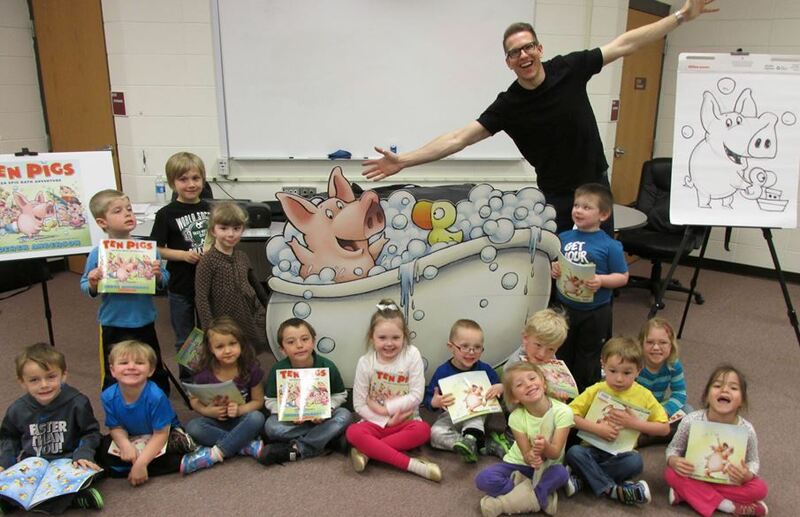 The traveling trunk show featuring author / illustrator, Derek Anderson and Ten Pigs is off to a rollicking good time in the Arrowhead Library System (ALS). Squeals abounded at the Falls Elementary School in International Falls and the Duluth Public Library. Complete with props and laughter, children and parents can share the joy of reading in this CRPLSA sponsored statewide initiative. This entry was posted in Legacy and tagged ACHF, ALS, early literacy, Once Upon a Reader, one book, OUR, Ten Pigs. Bookmark the permalink.